The global market has led to increased competition for business owners. Nearly every service and product available today can be easily duplicated and offered at a lower price. While big brands can outcompete their rivals with million-dollar advertising campaigns, small business owners find themselves at a loss for how to promote their brand and stand out from the competition. One strategy that works and is extremely affordable is customer testimonials, or reviews. When your customers describe your product, service or customer service, it helps other people decide to shop with you rather than someone else. Did you know that 90% of shoppers check online reviews before frequenting a business, and 88% look upon reviews as personal recommendations? There is no doubt that customer reviews are effective, but what is a good way to capture those reviews? Read on to find out. One of the biggest differences between businesses that have a multitude of online reviews and those that don’t is one simple fact – they ask for them. While some shoppers will turn to the internet to describe an extremely positive or negative experience, a large percentage simply won’t take the time to take this step. However, if the business owner or employee asks them to write a review, chances are they will! The best way to ask is to do so in person, when the individual walks into your store or office. In fact, a source claims that an in-person request is seven to eight times more effective than a request via email. If you don’t have the time or opportunity to ask for reviews in person, email would be your next step. This is a challenging tactic, however, because you don’t know the experience all of the people who have frequented your business have had. This is why it may not be the best idea to send an email to your entire database. Instead, send out a survey or request for feedback, and then only contact the people that provided positive feedback to ask them to leave a review. To get better results, you may consider incentivizing your customers for the effort it would take them to write an online review. Offering a discount, a free item or service, or an entry into a contest can provide a push to the individual to leave a review. This tactic can be tricky, however, because some review websites, such as Yelp, do not allow businesses to pay for reviews. Some savvy business owners have found loopholes in this rule by offering freebies, such as free desserts to restaurant diners who leave a Yelp review instead of a monetary discount. Don’t be afraid to get creative! Most of us like to feel noticed, valued and special, which is why promoting existing online reviews is a great strategy to get more reviews. When you single out customers who have left you a positive review and blast it out to your email list or put it up in your store, others will notice it and want that same recognition. You can always count on a person’s ego to urge them to take an action they wouldn’t have otherwise. If you need financial help in order to invest in incentives to provide to your customers to increase your online review database, let IOU Financial help! We can provide business loans in under 48 hours to help you grow your business in any way possible! Jimmy Kimmel used his opening monologue on his late night show to tell a story about his son’s recent health crisis and why Congress needs to get on healthcare. Kimmel told his audience how he and his wife Molly McNearney welcomed their second child together, William “Billy” Kimmel on Apr. 21. But at three days old, Billy had to have open heart surgery at Children’s Hospital Los Angeles but thankfully it was successfully. The late night talk show host tearfully revealed that his newborn son had successfully undergone the life-threatening operation. The new parents were moved to the recovery room, where the couple’s eldest child, 2-year-old Jane, was there to meet her baby brother. But three hours later, a nurse noticed something was wrong with Billy. 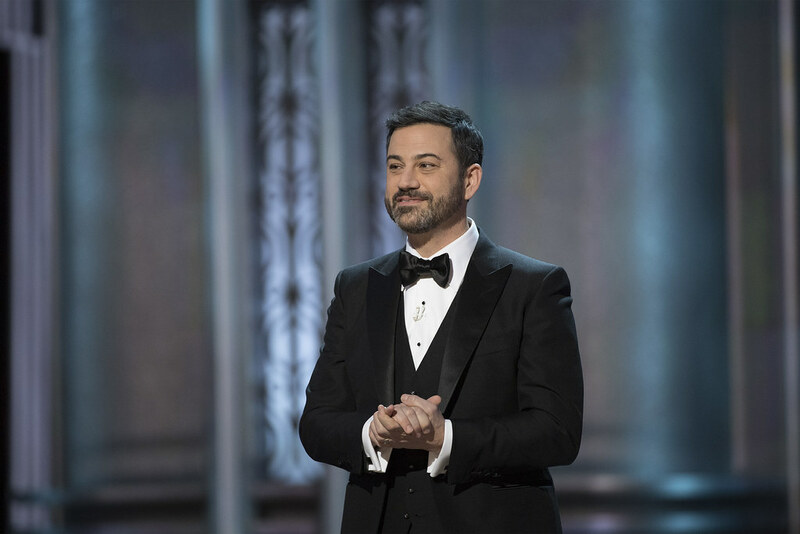 After recounting the story of his son’s struggle through tears, Kimmel turned his thoughts toward Washington D.C. and the millions of other families like his in America. Kimmel also praised Obamacare and noted that, prior to it, those born with congenital heart issues like his son could be turned down for health insurance because they were deemed as having a pre-existing condition. After the opening, Kimmel’s publicist, Lewis Kay, and actor Ike Barinholtz, called for reporters to ask White House Press Secretary Sean Spicer about Kimmel’s remarks on health care coverage. What did you think of Kimmel’s family story? Do you have any similar stories to share? What are your thoughts about healthcare? Let us know in the comments section. Chip maker Advanced Micro Devices is tanking, down 18.2%, or $2.48, at $11.14 a share, after giving a disappointing gross margin forecast. The company expects second quarter gross margins to come in at about 33%, down slightly from the first quarter reading of 34%. AMD announced an adjusted loss of $0.04, matching the Wall Street consensus. Revenue rose 18.3% to $984 million, a whisker below the $948.46 that analysts were anticipating. “We achieved 18 percent year-over-year revenue growth driven by strong demand for our high performance Ryzen CPUs as well as graphics processors,” Dr. Lisa Su, AMD president and CEO, said in the earnings release. Shares of AMD are down about 2.7% year-to-date taking into account Tuesday's losses. BellabeatWearables, for being relatively unknown only a short while ago, have had a meteoric rise in popularity within the last few years. These wearable fitness trackers aim to provide users with a simplified, informed report on their own health, making it easier to get involved with one's fitness without expending a bunch of energy mapping out calories and other hard-to-plot variables like sleep. As our collective conscious grows more concerned about health, our lives get busier and our time shorter. Wearables are an attractive aid. They collect the data, make the infographics, warn you if you’re letting yourself stray too far from your goals, and often provide you with positive feedback that can make your attention to health feel gratifying every day. While the convenience of them hardly needs to be debated, the technology isn’t always perfect or comprehensive, nor are the wearables themselves often attractive accessories at face value, which kind of beats the point of always wearing them if you frequently don’t want to. Which means that a wearable that looks like any other piece of jewelry is going to be skipping one of the major problems in the industry. That’s where wearable producer Bellabeat is such a leader. Where functionality and aesthetics intersect best is in their Leaf wearables, which look like jewelry more than the kind of clunky, waterproof watches many wearables resemble. I tried out Bellabeat’s Leaf Urban wearable, a second generation take on their "Leaf" tracker, which sold out before it had been available 24 hours. This second model has a few changes, mostly in design and a slightly different composition that makes it water resistant (though you won’t want to go swimming with it on). It can be worn as a clip, a necklace, or a bracelet, so versatility won’t be an excuse not to integrate it into your day. For everyday life, I prefer the bracelet option, and the clip placement works particularly well for exercises that are more high intensity, since I’ve found the Bellabeat can unhook from the bracelet if you jiggle it enough with a high stakes sprint to the subway station after work, something that initially annoyed me before I substituted for the necklace or the clip. While the look of the wearable is one of its biggest draws, the variables included and the presentation of data is what sets this tracker apart technologically. Firstly, it collects a broader range of data than most other wearables. Especially for women, the Bellabeat has unique advantages. While aspects of life as a woman such as their period, ovulation, and potential pregnancy are impactful variables for women’s health, they’re virtually nonexistent in data gathered by most other wearables. But for the Bellabeat, women can enter data on, track, and visualize all three. The algorithm won’t self-adapt to account for the different ways the body reacts during these times in biological processes like calorie-intake, but "breastfeeding" is one of the activities owners can manually enter to be counted into their overall score, an activity which can account for about 300-500 calories lost in a day. If you’re trying to get pregnant, you can track your fertile days. While the breadth of Bellabeat’s data collection is greater, it’s also contextualized in a nontraditional way. You can see your fitness in the context of goals that you set for yourself as other wearables allow, but the Bellabeat also rounds up all the data collected (physical activity, period cycle, sleep, and even the time you’ve spent meditating) and creates an infographic within the app to demonstrate how susceptible you are to stress, given the data collected. It comes close to that hallowed intersection of mental and physical health, and how the two play into one another. Rather than strictly fitness, the Bellabeat approaches more of a wellness measure. If you see that you’re "red," then that means you’re sensitive to stress at the moment. And while you can log some meditation or breathing exercises to see a lower sensitivity, today’s "stress sensitivity" is calculated by taking your habits into account. One day of activity will not change your levels at once, but if you keep activity up and sleep cycle up, your stress levels will fall in a few days. That makes sense, because if you didn’t sleep well last night, you will be feeling the effects of it for the next few. The integration of the period tracker is wonderful, speaking as a woman myself. Most women I know use separate apps, and it seems quite silly that no one has thought to truly, effectively integrate them before. The only thing I wish that Bellabeat did (which I would expect it might in the future) would be to allow users to log their symptoms throughout their menstrual cycle, so the algorithm could get even better at predicting "stress sensitivity." I know vaguely when these susceptible times are, but I will never have the time to map them out myself — and the information seems useful, especially for this. For this reason only, I probably won’t be ditching my period tracking app just yet. Another thing users might not like, especially if they’ve already used a wearable like the Fitbit or a lookalike is that the Bellabeat doesn’t automatically sync and it doesn’t have a traditional face where notifications pop up. For the first, the upside is that it’s remarkably easy to sync within the app. Simply tap the sync icon on the app, and it will prompt you to tap the Bellabeat twice. Each time I did it, I was impressed by how immediate and reliable the syncing process was, so for me this wasn’t really an issue. If you forget to sync regularly, the tracker will hold onto the info it’s gathered for 14 days, so you have time. For the second concern, it was pretty much negated because the whole selling point of the Bellabeat is to be an efficient wearable that looks like jewelry — it’s not a smartwatch, but then again you probably aren’t buying it to be one. The tracker was usually spot-on for my sleep cycles, and even if it wasn’t, it asks every morning if the times are correct and allows you to move the bar to accommodate the real ones. What I loved about the app is that it’s really simplistic; you can see the information you really want to know laid out and color-coordinated, but you can also get more granular by sliding your finger across the data, seeing things like the depth of your sleep. You can set alarms if you’d like, but I’m a heavy sleeper and like to use the old-fashioned tools for that. While the Bellabeat can’t distinguish between particular activities, as in yoga instead of bicycling, it does allow users to input and label calories burned during those activities (such as breastfeeding). But just to be sure you don’t accidentally cheat your score, the wearable won’t count the calories it had for you during the time you say this other activity was happening. It’s not going to update you when you get a text or sync automatically, but it will a) allow you a more comprehensive measurement of well-being, including a projection of your sensitivity to stress, b) look much better on so you’ll never want to skip wearing it, and c) include important women’s health variables to calculate a score that looks more accurate for you. US defense officials confirmed on Tuesday that the Terminal High Altitude Area Defense, or THAAD missile defense system has been successfully deployed in South Korea. THAAD, the world's most advanced missile defense system, has both China and North Korea spooked, as its powerful radar could potentially spot and knock down Chinese missiles, and persistent rumors say it could be bad for the health of South Koreans in the region, despite evidence to the contrary. But THAAD is a purely defensive weapons system. The missiles do not even carry warheads, and rely solely on kinetic energy to smash incoming missiles without detonating their high explosive, or possibly nuclear payload. In the clip below, see how THAAD knocks out an incoming missile threat. LAVAL, Quebec (Reuters) - Valeant Pharmaceuticals International Inc , weighed down by debt from years of acquisitions, is on pace to meeting its target of repaying $5 billion in debt between August, 2016 and February, 2018, Chief Executive Joe Papa told shareholders on Tuesday. Synchrony Financial, which issues a number of store and private-label cards for retailers, is pleased with its “strong organic growth” across platforms, but the firm suffered rising charge-offs that ultimately hit its business in Q1 2017. That said, the future is bright, thanks to its vast digital innovation that’s propping up key segments. Synchrony’s digital gains show that the company has a good handle on the industry. The firm’s digital volume is outpacing other business. Synchrony’s online and mobile sales grew 21% in Q1 2017. That number increased to 26% in retail cards specifically. That’s driving up the firm’s overall growth, as total purchase volume grew just 7% in the year. That’s important as retail undergoes a key “transformation.” Retail is shifting increasingly online — BI Intelligence forecasts that US e-commerce retail sales will hit $436 billion in 2017, a figure in line with the NRF’s estimate, marking an increase from $385 billion last year. Synchrony noted its digital growth exceeds US growth trends, and said that as retail transforms, the firm is well positioned to shift alongside it and capture that spend, regardless of channel. And future plans have it set on a solid path to growth, which could help it combat other difficulties. The next hurdle for Synchrony is tackling mobile commerce, as digital spending shifts increasingly from computers to phones. The firm didn’t break out its mobile numbers specifically, so its current success on that channel remains unknown. However, Synchrony is doubling down on mobile technology, including recently buying GPShopper, an app developer that helps retailers build for mobile. That could help it capture rising mobile spend by making it easier for retailers to engage and convert customers on their phones, ultimately driving up purchase volume and increasing Synchrony’s revenue. Credit card rewards have become so popular in the US that issuers capture headlines just by launching a new rewards card. And with consumers now caring more about the type of rewards being offered than any other card feature, competition to offer the most lucrative and attractive rewards has intensified dramatically. For consumers, the emphasis card issuers place on these cards has resulted in rewards becoming much more worthwhile and widespread, ranging from big sign-on bonuses to free travel. And with offers continuing to get better, consumers will continue seeking out the best rewards cards. The value added from these cards is undeniable for issuers — in addition to increasing adoption of credit card products, the opportunity to earn rewards encourages cardholders to spend more money. This not only helps to drive up revenue, but also provides issuers an opportunity to mitigate any losses they may be feeling from the Durbin Amendment, which reduced how much fees issuers could charge on debt card transactions starting in 2011. But it’s also important to note that offering such high-valued rewards comes at a price — Chase’s Sapphire Reserve card ended up reducing the bank’s profits by $200 million to $300 million in Q4 2016, according to Bloomberg. And as costs continue to rise, issuers will have to adjust to this new landscape by leveraging technology and partnerships to keep consumers engaged without sacrificing profits. Ayoub Aouad, research analyst for BI Intelligence, Business Insider's premium research service, has compiled a detailed credit card rewards explainer that walks through the new credit card rewards landscape, which now includes rising consumer demand for rewards, increased opportunity for issuers to drive up usage of their credit card products, and increasing costs. After discussing the evolution that has led to this current landscape, the report analyzes how issuers will have to adjust in order to continue reaping the benefits of offering rewards without sacrificing significant profits. By offering high-valued and attractive rewards, card issuers are able to drive up card adoption and usage — JPMorgan Chase reported a 35% increase in new card accounts in Q3 2016, after launching the Sapphire Reserve card. However, major players in the space are already beginning to find ways to cut costs, including rolling back rewards on their most premium products and partnering with well-known brands to develop less expensive, more creative rewards offerings. Identifies the costs associated with offering rewards for issuers and how they have increased over time. Details why credit card issuers continue offering high-valued rewards. Explores how credit card issuers will advance in order to continue reaping the benefits of offering rewards without assuming increased costs. The choice is yours. But however you decide to acquire this report, you’ve given yourself a powerful advantage in your understanding of the payments ecosystem. (Reuters) - Two top Tesla executives were listed as officers at a materials recycling company, Redwood Materials, indicating possible ties between the companies. The Redwood City, California-based company has Tesla's chief technology officer, JB Straubel, and head of special projects, Andrew Stevenson, as executive officers, according to the filing. The filing, dated April 28, was first flagged by research firm CBInsights on Monday. Redwood Materials did not disclose any direct link with Tesla. Its single-page website, registered in April, is sparse in details. Redwood Materials, which says on its website it plans to focus on recycling, re-manufacturing, and re-using materials, raised $2 million from a single undisclosed investor last month, according to the filing. Tesla could not be immediately reached for comment. The phone number listed on Redwood's filing reached the voicemail of Stevenson. In a keynote in March, the electric-car maker listed "re-thinking the materials supply chain" as one of its focus areas. Elon Musk-led Tesla has been diversifying beyond electric cars. The company bought solar panel installer SolarCity last year to increase its scale in electrical energy management systems and battery production. Tesla said in January it has started mass production of lithium-ion battery cells at its gigafactory in Nevada along with Japan's Panasonic Corp, ahead of the launch of its mass-market sedan Model 3. Given Tesla's ambitious plans to scale its manufacturing for new auto models and volume, materials efficiencies and innovation could be key to the company's effort, CBInsights said. Are You Making Decisions or Knee Jerk Reactions?